THE FLATS – Matt Kuchar gets all the way to the championship match at the World Golf Championships match play event, jumps to lead in FedEx Cup points … Seth Reeves tied for 18th at Savannah Golf Championship … Chris Petefish in Q-school for Mackenzie Tour … this and more in the Georgia Tech #ProJackets Golf Report. Bidding to capture his second title in the match play event, Kuchar went 2-0-1 in his group, defeating J.B. Holmes and Si Woo Kim before halving his third match against Jon Rahm. In the knockout rounds, he downed Tyrell Hatton (4 and 3), Sergio Garcia (2 up) and Lucas Bjerregaard (1 up) to reach the championship match. Kuchar led or was tied for 52 consecutive holes when he hooked up with Kevin Kisner in the championship match, but he trailed from the start after Kisner birdied the first hole and lost 3 and 2. He came up just shy of what would have been his third victory of the 2018-19 season and 10th of his career. But his performance was good enough to vault him past Rory McIlroy into first place in the FedEx Cup points race. Finishing the PGA Tour regular season in the top 10 – branded the Wyndham Rewards Top 10 – carries with it a share of a $10 million bonus, which is split among the 10 players who earn the most FedEx Cup points through the Wyndham Championship, the final event of the regular season. Meanwhile, Seth Reeves posted his best finish as a rookie on the PGA Tour since the Sanderson Farms Championship with a tie for 18th place at last weekend’s Corales Puntacana Resort and Club championship. Reeves posted three rounds in the 60s and finished the tournament with an 11-under-par total of 277. Cameron Tringale also made the cut in the Dominican Republic event, tying for 52nd. Eight of the nine Yellow Jackets on tour are in the field for this weekend’s Valero Texas Open, including Kuchar, Reeves and Tringale. Anders Albertson, who missed the cut in the Dominican, Roberto Castro, Chesson Hadley, Ollie Schniederjans and Richy Werenski, all of whom took last week off, are competing. 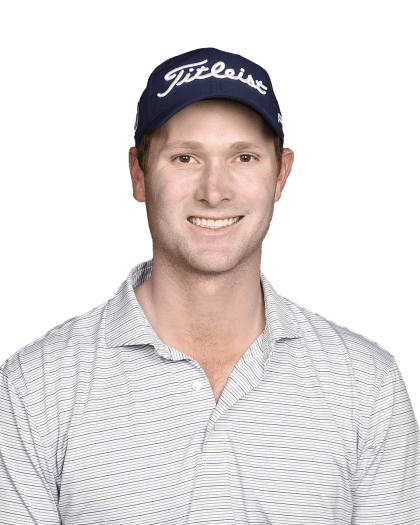 Web.com Tour: Nicholas Thompson posted his top finish of 2019, a tie for 12th, last weekend at the Savannah Golf Championship, posting a 9-under-par total of 279. Thompson elevated himself from No. 110 to No. 78 in the Web.com Tour points standings. Vincent Whaley, a tour rookie who is No. 11 in points, missed the cut along with Paul Haley II (No. 101). Champions Tour: Larry Mize tied for 60th place at the Raspican Systems Classic, his third start of the year. Mackenzie Tour: Chris Petefish, who has played some SwingThought.com Tour events in 2019, is in the field for this week’s USA West Q-school event that begins Tuesday in Litchfield Park, Ariz. Petefish, a 2018 Tech graduate, had some status on the Canadian Tour last summer after finishing 21st in his qualifier, and played in four events. SwingThought Tour: Gate Four Country Club • April 9-11, 2019 • Fayetteville, N.C.